ENSIMISMADOS 2019 is the third edition of an international contemporary dance workshop under Jimmy Ortiz and Grei QuezAc’s lead that will celebrate dance in Costa Rica from September 2-22, 2019, through a hard training and movement research process with our guest dance teachers. 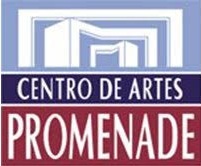 ENSIMISMADOS 2019 focuses on contemporary dancers; nevertheless, we encourage participation of people from any performing field like theater, circus, and performance art that can get advantage of the various movement tools for their own research; and at the same time the diversity of performing artist population will be enriched. Every workshop registration is individual. Registration for 2019 edition will be opened up to agust 2019 or until there are no spots left. 3 weeks exploring and internalizing the principles of David´s floor technique: “Flying Low”, and also his space improvisation dinamics of “Passing Through”. The wonderful Slovak dancer Milan Herich will assist David on this occasion. Note: In order to participate in this workshop you must attend since week 1. Only people who complete the 3 weeks of workshop get the participation certificate. The participation fee with or without accommodation stays the same. 1 week of Akram Khan repertoire and technique. Lead by the experienced dancer Andrej Petrovic. There will be showing performances of the workshop at Teatro de la Danza. Participation to Akram Khan workshop. He will lead a choreographic creation process during 2 weeks (September 2-13) Mon to Fri from 3pm to 6pm. The resulting piece will be premiered at Teatro de la Danza, San José Costa Rica on September 13-14-15. This creation process experience has no participation fee if you make it through the audition. Only 5 dancers will be selected for this choreographic process and they will be paid for their performance on Teatro de la Danza. Cheje classes are performing disciplines that provide useful resources and tools for the scene and for the movement research. They are intended to explore creative areas that nourish movement.